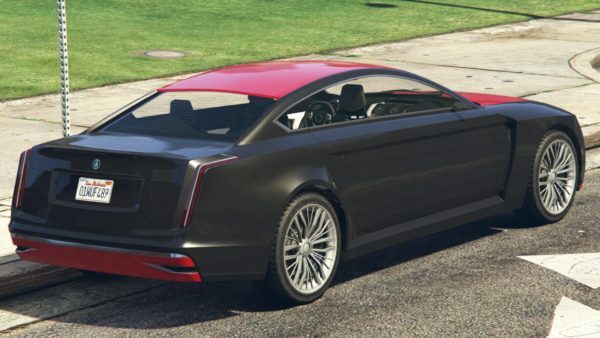 Grand Theft Auto Online’s weekly update brings you a car the name of which perfectly fits the reaction of players once they see its price. Joining it is a set of discounts, as well as opportunities to earn double payouts of GTA$ and RP from a variety of activities. 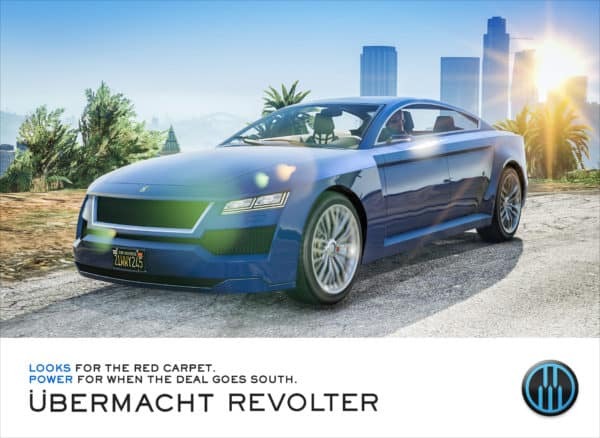 The all new Übermacht Revolter is a luxury sedan described as being designed with elegant events and white-collar crime in mind, as well as being equipped for getaways with performance in mind. It kinda looks like what a government-designed car would look like for agencies, meaning inoffensively dull, and while it is tied with the X80 in terms of acceleration, making it co-top vehicle in that category, it isn’t the fastest car in the game, nor does it handle the best. However, these are all traits you’d expect from it upon seeing its price tag, alongside basic functionality such as making you coffee, flying you to whichever island hosts the bank where you have an offshore account and dispensing cocaine. It, of course, does none of these things, but still costs GTA$ 1,610,000, making it one of the most expensive standard vehicles in the game, and one of the most expensive weekly drip-fed DLC vehicles ever released. 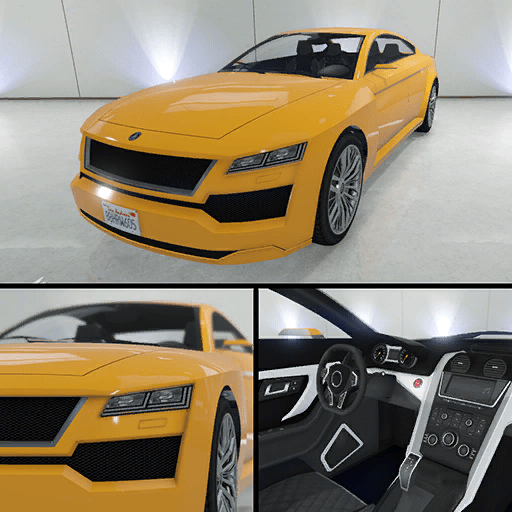 It has very few customization options, as almost none of the upgrades for it alter any visual element of the car, meaning there is not much you can do beyond tweaking the colors. It also has, for some odd reason, camo liveries, which are completely ill-suited to this sort of vehicle. Oh, and lest we forget the most important feature – you can upgrade it with front facing machine guns, of the same weak variety as the other vehicles these past few weeks. Rockstar has also extended the period for the double RP and GTA$ promotion for Air Quota, the new Adversary Mode released last week. All maps of the mode will pay out twice the rewards through the 29th. Since not many can call flying their forté in GTA Online, Rockstar has taken mercy on the rest of us poor mortals by also enabling the double reward promo for all Rockstar created Stunt and Land races. This also has the same end date. There are also a number of discounts on offer, focusing mainly on MKII weapon upgrades. These need to be researched in a bunker to become available, but you also need to purchase them after the fact, and can be applied in the Weapon Workshop of the Mobile Operations Center. The discounts also last until the 29th. Upgrading your stock guns to MKII status is 30% cheaper, while MKII magazines, muzzles, scopes and liveries are all 25% off. Additionally, both the HVY ACP and the Benefactor Turreted Limo are 25% off. In other news, the next Take-Two Interactive investor call will take place on the 7th of February, about two weeks from now. While these calls are rarely a direct source of new info or news, they do tend to induce some kind of announcement to take place before them. While this time around we strongly believe that Red Dead Redemption 2 will be the game in the spotlight, there is also a chance that some bigger update for GTA Online will be announced in the coming weeks.